A few weeks ago, I shared a little information about Food and Wine Weekends at Bonnet Creek. Want an elevated experience while you are in town for Epcot Food and Wine Festival? Here you have it. 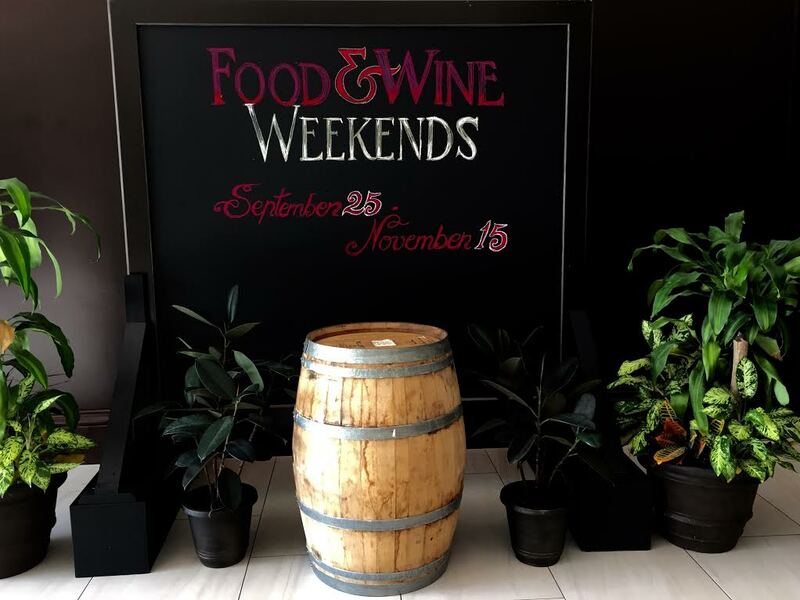 Food and Wine Weekends is a mutli-weekend event that is taking place at Hilton Bonnet Creek and Waldorf Astoria Orlando every Friday and Saturday during Epcot Food and Wine Festival. My husband Gabe and I had the opportunity to check out a few of the Food and Wine Weekend's experiences while on property. 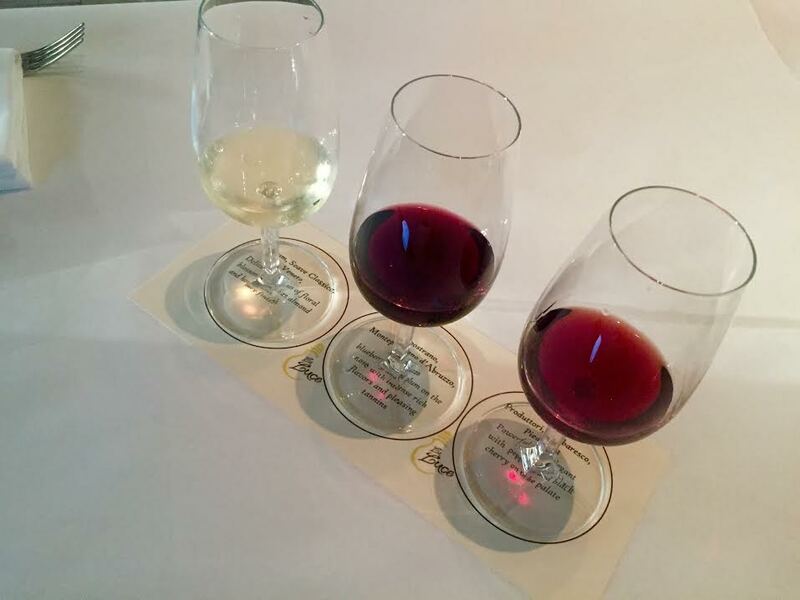 We had a delicious meal at La Luce, the Il Cibo Della Vita menu, where each weekend a new menu with exclusive offerings along with a wine pairing are unveiled. 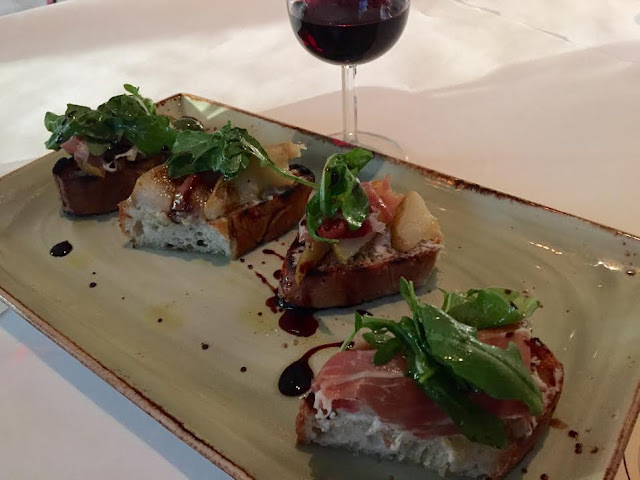 Wine Pairing: Each week, La Luce pairs three unique wines perfect for your meal. 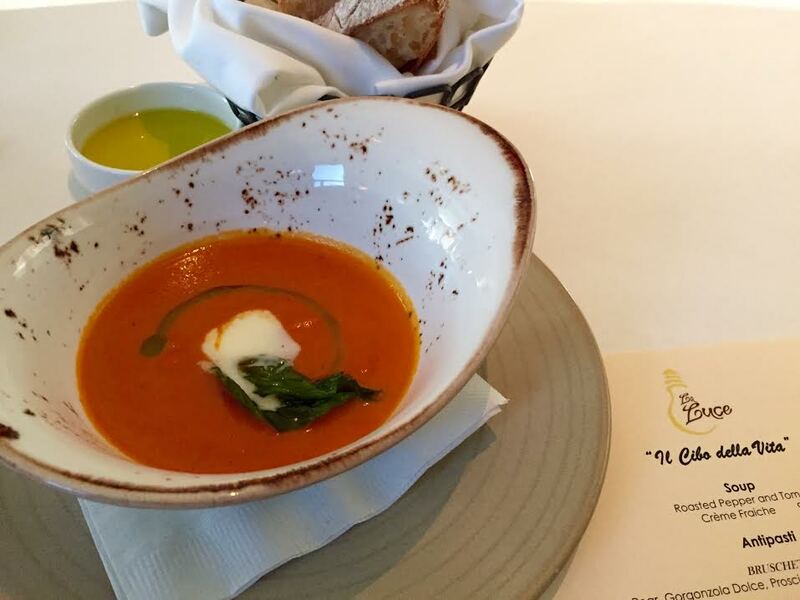 Soup: Roasted Pepper and Tomato Creme Fraiche. This was such a delicious soup that both of us finished it, and practically licked the bowl. I used a piece of delicious homemade bread to be sure not a drop was left. 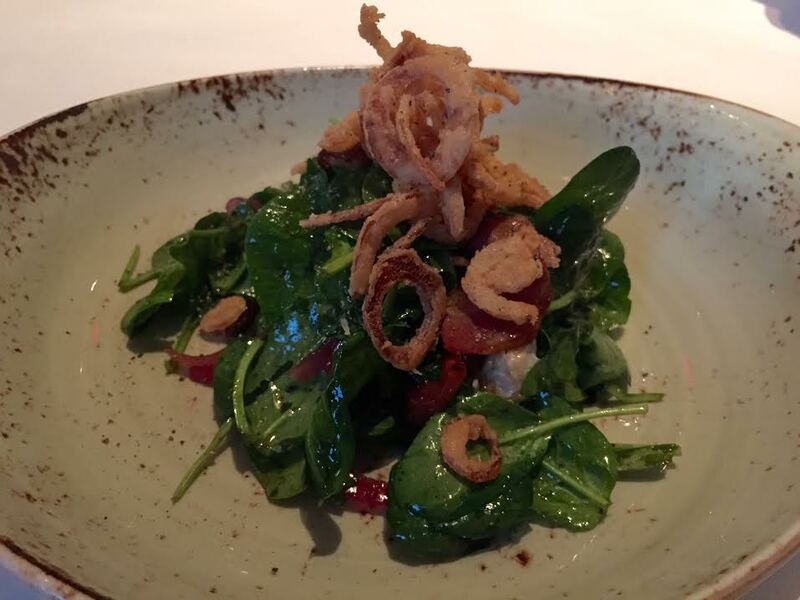 I adored this dish. Prosciutto, pear and arugula are one of my favorite combinations (amazing on pizza!). Add this to perfectly grilled bread, some gorgonzola and aged balsamic and it's pretty much perfect. 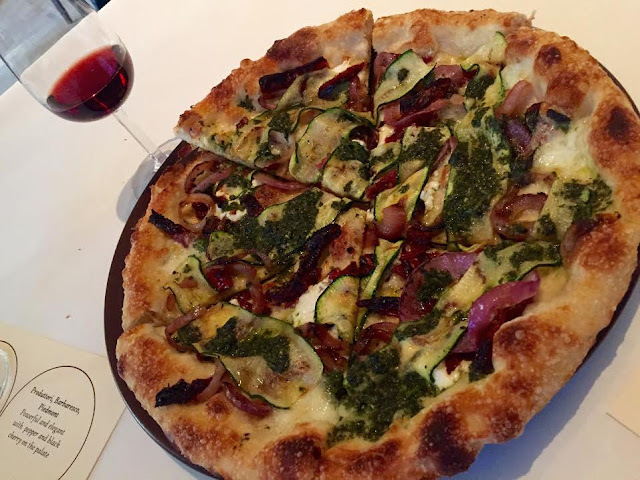 I am happy to report that the pizza at La Luce is LEGIT. The crust was a perfect combination of crispy and airy. It wasn't greasy at all. This is how Pizza is supposed to be. On a normal day, I would have never gotten Gabe to order this combo. End result: He loved it and may allow me to bring zucchini back into our diet! La Luce gets their mushrooms shipped in daily. 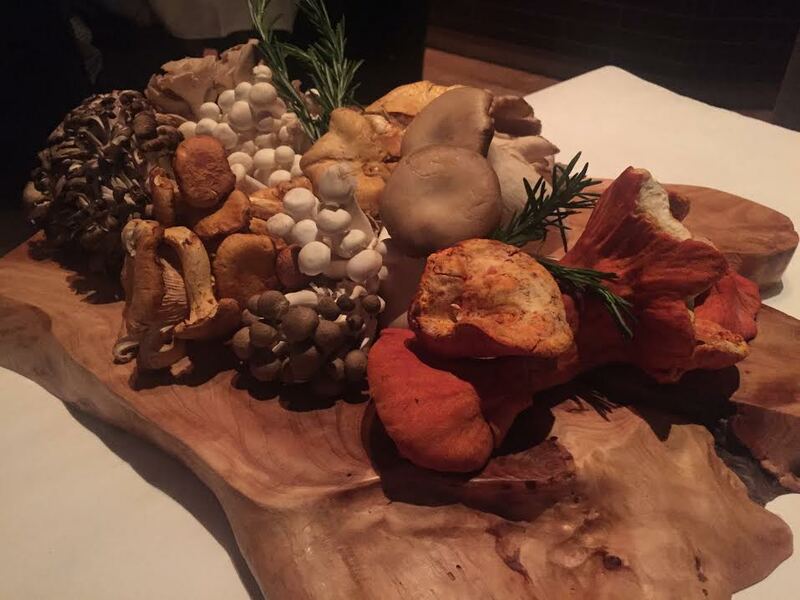 I have never seen a wild mushroom display like this in my life. I just sat in awe. The large mushroom on the right is called a lobster mushroom! It's a beast. This was Gabe's favorite dish of the night. 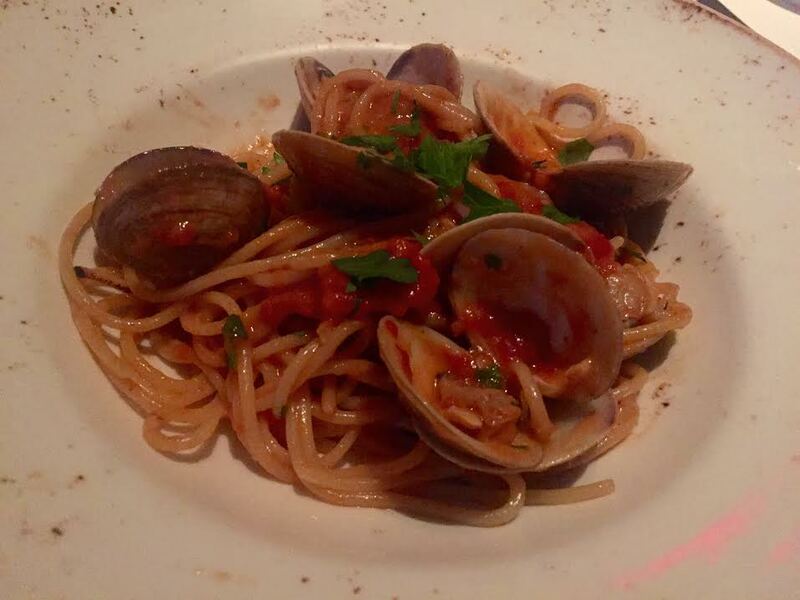 The clams were not fishy at all and it had a perfect amount of spice to it. It was a very clean, light pasta dish. I will dream of this dish for years to come. 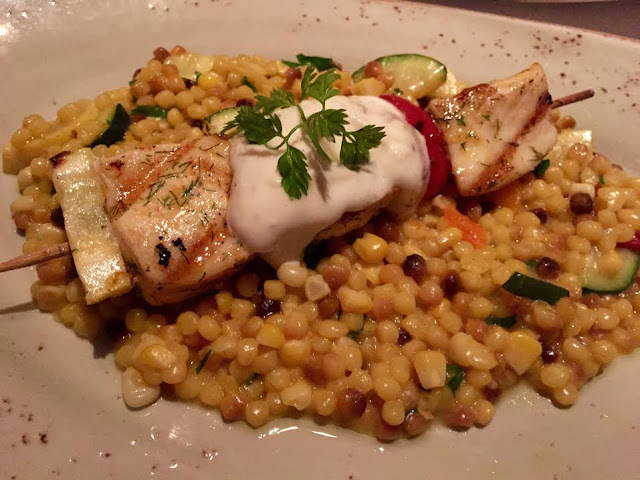 The Saffron Fregola Ragu was unlike any pasta I have ever had. What looks like corn is actually a ragu. It was buttery, delicious and went perfect with the grilled halibut. I was so full by this time but couldn't stop eating. 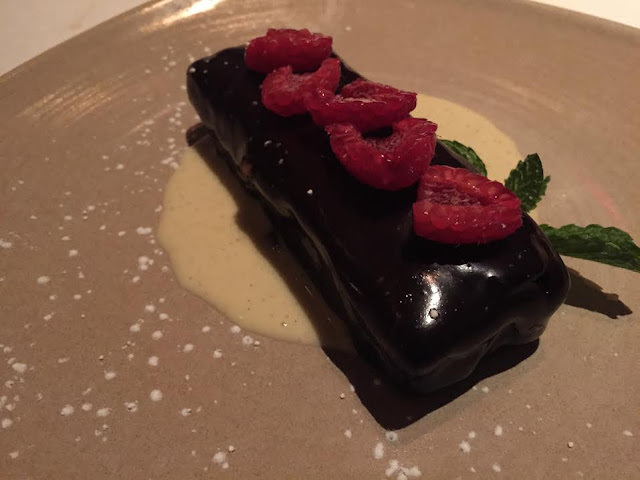 This was such a unique dessert - La Luce's famous butterscotch pudding was inside of their famous chocolate cake. It was two desserts in one and we devoured it. Overall we were very impressed with the dinner. As I mentioned above, Food and Wine Weekends at Bonnet Creek are the best way to elevate your Epcot Food and Wine Festival. No lines, incredible food and a better bang for your buck vs. the small plates you get at the Festival. It's a winner in my opinion!